Machine Vision applications required some essentials components and functions. These components will always have a machine vision camera, and typically need lighting with some input and output (I/O) functions to synchronize events in addition to lenses and other accessories. Industrial computers are also needed to run PC based machine vision software and provide communications between the camera and software. These computers need to be suited for various environments which may be dusty, as in a casting foundry, to full clean rooms in electronics manufacturing. Ideally the computers should help in the overall integration of machine vision applications. “Machine Vision Computers” are designed specifically for these applications and provide a robust solution! Introducing Neousys who is a leader in machine vision computing, designed their computer from the ground up for machine vision. This blog post addresses the specific features that are offered and what problems it solves. Fan-less computer designs: In cases where dust is prevalent, normal computers have fans which brings in dust, clogging fans and creating the system to heat up. Neousys has a fan-less design with efficient heat dissipation allowing for high temperatures from -25 to 70 Deg. 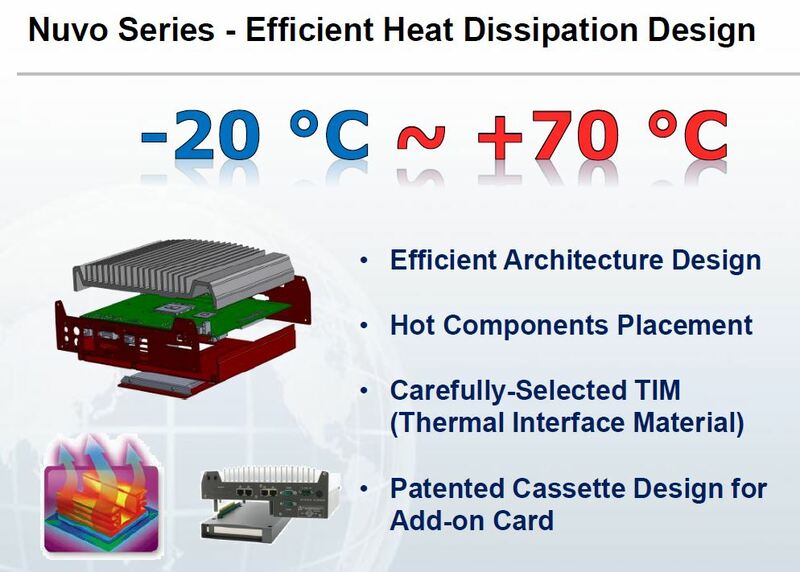 C.
Efficient Heat dissipation design, providing a higher temperature range than the competition. 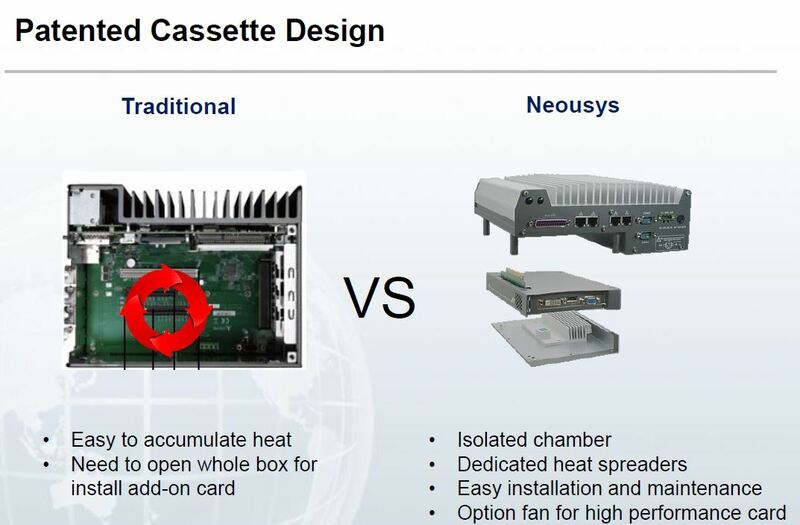 Unlike other industrial computer suppliers, Neousys platforms begin with a single board computer laying out all heat generating components evenly, optimizing the thermal design. In turn, at 100% CPU loading, AND at the ends of the specified temperature ranges, there is no performance degradation. 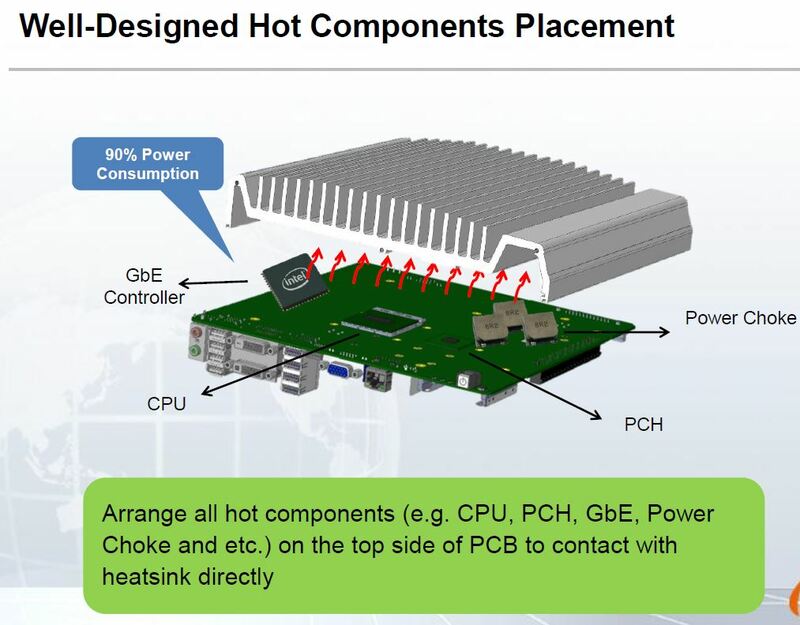 Designed for thermal management, all of the hot components are interfaced directly with the heat sink with carefully selected thermal interface material. Modular Mezzio cassette design: Application requirements differ from needing multiple communication ports to synchronization of events via inputs and outputs. Neousys provides easy to configure, exchangeable modules to unlock the limits and provide feature expansion. MezIO modules can be added for Power over Ethernet (up to 8+ ports ), USB ports, COM ports (RS232/422/485), Digital IO including encoder inputs or even customized features. All this done with a focus on thermal management. Integrated Controls: To ensure high quality images, a machine vision system requires accurate interaction between lighting, camera, actuator and sensor devices. 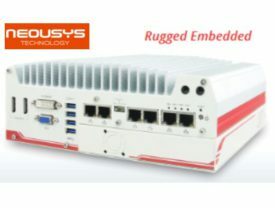 Neousys integrates LED lighting controller, camera trigger, encoder input, PWM output and digital I/O, to connect and control all the vision devices. All the vision-specific I/O are managed by Neousys’ patented MCU-based architecture and DTIO/NuMCU firmware to guarantee microsecond-scale real-time I/O control. Multiple processors architecture: High performance is needed to ensure factory up-time. Neousys provides multiple processors in one computer, such as the CPU, MCU, and GPU (e.g. Nuvis-5306RT, Nuvo-5000E with GPU cassette). Fully customization with specific processors, GPU’s, Memory, Drives (SSD / HDD) are available. Small form factors: Space is always a constraint to keep products and factory footprints to a minimum. Starting at 4″ x 6″ x 2″, Neousys has machine vision computer offerings to streamline any design. 1stVision has industry experts on hand who can discuss your application in detail and help specify the best computer and machine vision components for your application. We have a full portfolio of machine vision cameras, lenses, lighting and accessories. Please contact us to help you!